The 2017 Honda Accord is now in stock here at Brilliance Honda of Crystal Lake, and the EX-L V6 model provides upscale features and a powerful V6 engine. This trim level offers the same reliability as all models of the Accord, but it also upgrades the vehicle in some key areas. 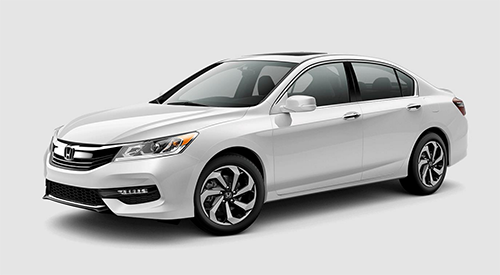 Find out more about this prestigious Accord model here at Brilliance Honda of Crystal Lake, just a short drive from Elgin, IL. The Honda EX-L V6 is powered by direct injection 3.5L V6 engine that provides 278 hp and 252 lb-ft of torque, and it comes with a smooth shifting six-speed automatic transmission standard. The current Honda Accord EX-L V6 is rated by the EPA at 21 mpg city/33 mpg highway/25 mpg combined*. The Honda Accord EX-L V6 is also eligible for the Honda Sensing system, which bundles lane departure warning and prevention, forward collision warning and prevention, road departure mitigation, and adaptive cruise control. The 2017 Honda Accord is now in our showroom at 680 W. Terra Cotta Ave. in Crystal Lake. Visit Brilliance Honda of Crystal Lake today to find the trim level of the Accord that fits your needs. You can also contact us online if you have any questions about the current Honda lineup!